Since joining RESULTS Brighton as a grassroots campaigner, I’ve spent a significant amount of time campaigning on tuberculosis (TB), the world’s deadliest infectious disease. As a group we’ve organised events to raise awareness, met with our local MPs, written to the Secretary of State for International Development, and pressed the Government to take action against the growing threat of drug-resistant TB. 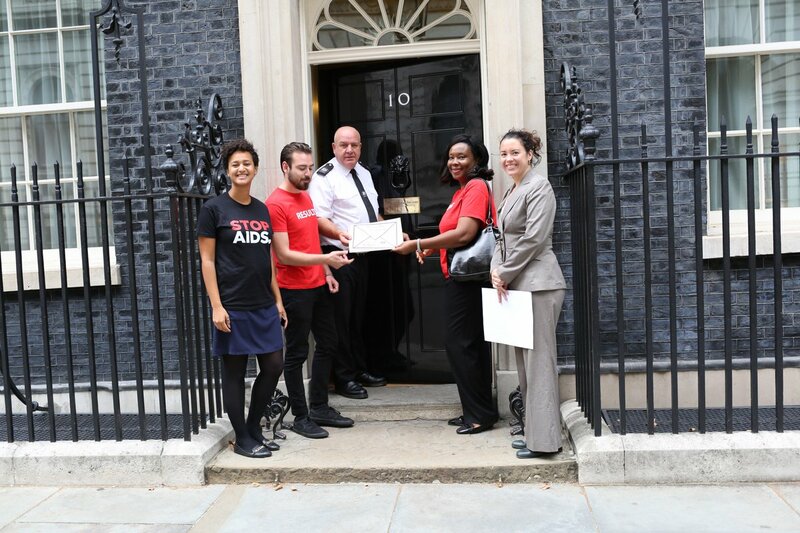 Last week, I continued these efforts by joining a group of campaigners from RESULTS UK, STOPAIDS and TB Alert on the steps of 10 Downing Street to call on Theresa May to lead the way in the battle against this notoriously difficult to treat disease. Sylvia Anie, Interim Head of Policy Advocacy at RESULTS UK, Hannah McLean-Knight, Campaigns Coordinator at RESULTS UK and Chris Woodgates, RESULTS Brighton grassroots campaigner. Photo: Tom Maguire/ RESULTS UK. The lack of media coverage on TB makes it easy to think that it’s a disease of the past or something that only people living in impoverished or developing countries are at risk of becoming infected with. Yet in 2016 there were 5,600 cases recorded in the UK and a further 5,137 recorded in the following year, proving that TB is still an issue of global significance that is capable of affecting any one of us. The rise of drug-resistant strains of TB has raised the stakes even higher by potentially spelling a global health disaster if our response is not proportional to the threat. Next week, on the 26 September 2018, the United Nations General Assembly in New York will host the first ever high-level meeting (HLM) on TB. The meeting will bring together Heads of State and leading decision makers from around the world in order to coordinate an effective global response to the challenges that TB poses. As this type of meeting is the first of its kind and has the potential to make TB a top political priority, it’s vital that the UK takes a seat at the table. The UK has already been a leading and influential figure in the fight against TB through its investment into research and development, and so has a critically important role to play in the success of the HLM. Representatives from RESULTS UK, STOPAIDS and TB Alert. That’s why we took a petition straight to the steps of 10 Downing Street calling on Theresa May to attend the HLM. We want to make it known to the Prime Minister that there is support for ending this disease, not just from Ministers and those working in development and global health, but also from members of the general public. The permanent eradication of TB is on the horizon, just waiting to be consigned to the annals of history alongside the likes of smallpox and the near-extinguished disease polio. But, without an adequate and urgent response from our leaders, we run the risk of losing millions more lives to this malignant and pernicious disease. So, let’s keep making our voices heard and send a message to our Government to lead the way in defeating TB once and for all.